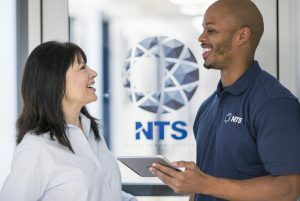 NTS has announced that its Plano, TX facility is building a new internationally-focused product safety lab capability and has hired its first Director of Telecommunications. 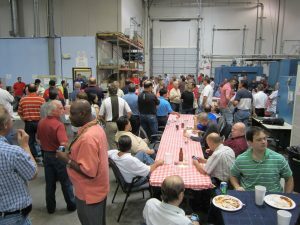 The new lab capability and Tom Griffith, the new Director of Telecommunications was among the features at the facility’s open house/Customer Appreciation Day on June 28, 2013. The new product safety lab, scheduled for completion by mid-July, has been designed to support customers seeking a wide variety of international approvals for their exports. The newly-created position of Director of Telecommunications will bring a new level of focus at the Plano facility on telecommunications testing and customer outreach, noted William C. McGinnis, President and CEO of National Technical Systems. Other featured capabilities at the Plano facility include vibration testing at extreme temperatures (-300° F to 600° F), salt water immersion testing up to 150 feet deep and radar avoidance testing (DFS test). The facility includes a 50,000-square-foot main laboratory with another 45,000-square-foot support facility. Griffith, 48, a resident of Dallas, has more than 20 years of experience in the telecommunications industry. 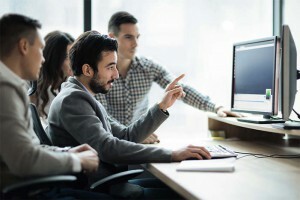 He is the founder and former Vice President Sales and Business Development for Dallas-based BRIDGE Networks Inc., a company focused on bridging telecom and data networks together in the wireless carrier environment. 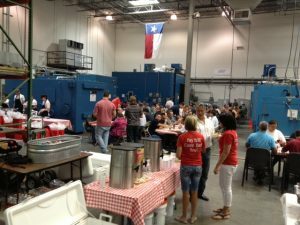 “Our goal is to expand and extend our work here in Plano in the telecommunications market and Tom will help us lead that effort in building this business,” said John Ngo, General Manager of the Plano facility. NTS Plano has compliance testing facilities equipped with the latest test tools and is staffed by test engineers with years of experience and the most up-to-date training in wireless and wired telecom technologies, as well as domestic and international product approvals. The combination of experience and high-end test systems gives NTS Plano the ability to assist any company seeking to bring products to market with speed and efficiency. NTS Plano also provides a variety of EMC/EMI/ESD services to a multitude of industries with expertise in testing to military, aerospace, telecommunications, and other industry specifications.